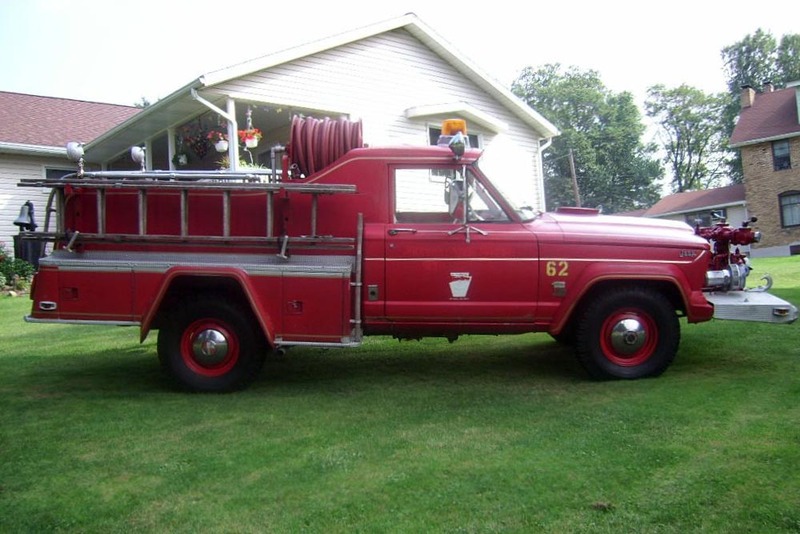 This 1963 J-200 Jeep Gladiator is only the second example brought to my attention, of a Howe Fire Apparatus pumper built on this platform. In the Paul and Jane Barry collection at Willys America in California, it carries Willys serial number 2406B-11037. 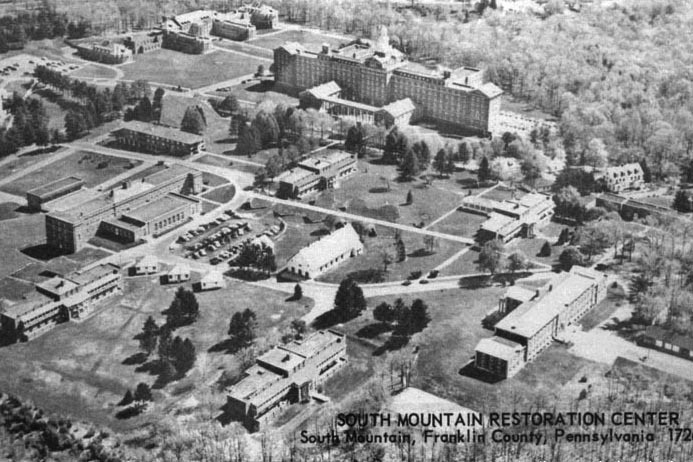 The truck racked up 4200 miles while in service at the South Mountain Restoration Center (100K JPEG) in Pennyslvania, a state facility which in 1963 was being converted from a tuberculosis sanatorium to a geriatric hospital. Like the other Howe J-200 I know of (below), it carries a Waterous CF-3 500 GPM pump running off the front PTO from the OHC-230 motor. The first 1963 Howe/Willys J-200 we ran across looked like a bargain when it was purchased on eBay in 2007 with under 3,300 miles on the odometer, by John B. 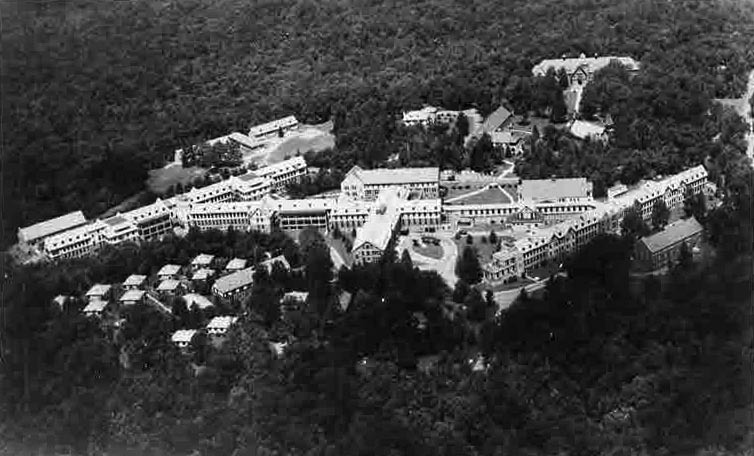 (Jack) Stankiewicz of West Virginia. The builder's plate on the door jam reads, "Howe Willys HJ, Model HRS, Serial 11413." 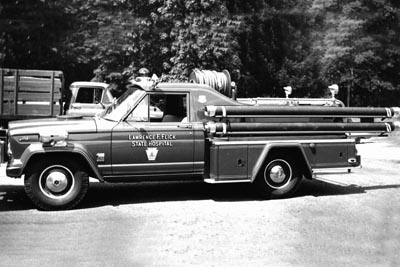 In service at the Lawrence Flick State Hospital (80K JPEG) in Cresson, Pennsylvania (now the State Correctional Institute at Cresson) the Jeep carried 9-foot lengths of suction hose, and a siren on the front fender. 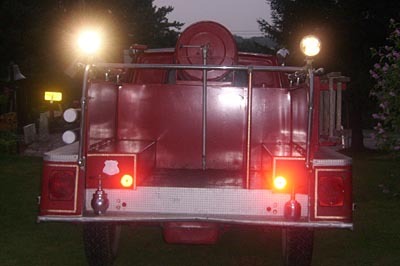 After its retirement, it was sold as surplus by the state of Pennsylvania in September 2005. The Gladiator was a new Jeep model for 1963, and Howe Fire Apparatus was probably eager to get their hands on one, after many years of experience building the Commando fire truck based on the old 6-226 Jeep truck chassis. 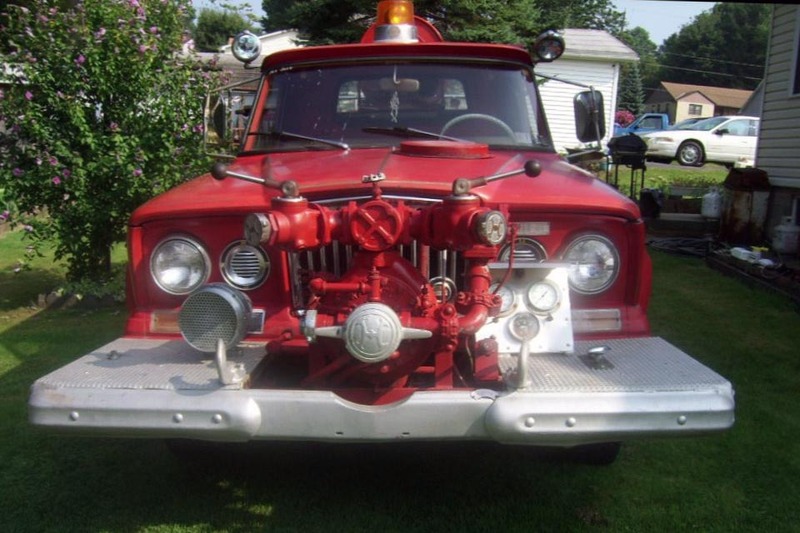 They apparently found it necessary to cut an extension into the hood, similar to that on their Universal Jeep conversions, to provide clearance for the carburetor mounted on top of a governor to limit pump pressure (see Howe CJ-3B Fire Engine: When a High Hood Isn't High Enough. 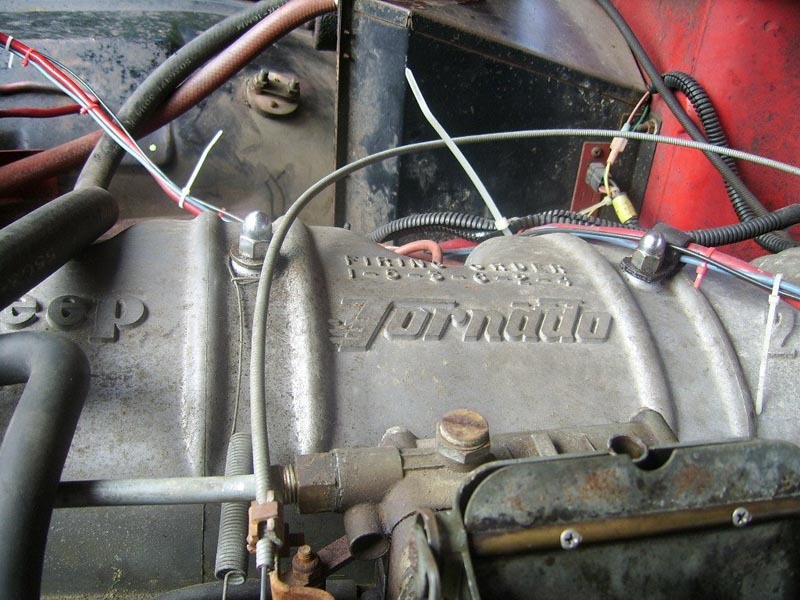 The Tornado 230 inline 6 (110K JPEG) in this unit was used in Gladiator trucks in 1963 and '64, as well as other pickups and wagons. 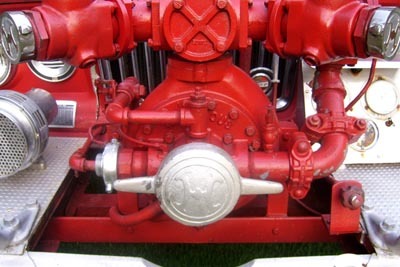 The Waterous CF-3 500GPH pump was not connected to the power take-off at the time of the 2007 sale. The pump is flanked by the pump control panel (90K JPEG) and a Sterling free rolling siren (110K JPEG). The new "Jeep" badge on the grille also appears on the accelerator pedal (110K JPEG), but the old "Willys" name still appears on the VIN plate (40K JPEG). Serial number 2406B11054 indicates a 4WD 6-cylinder truck built by the factory as cab and chassis only. 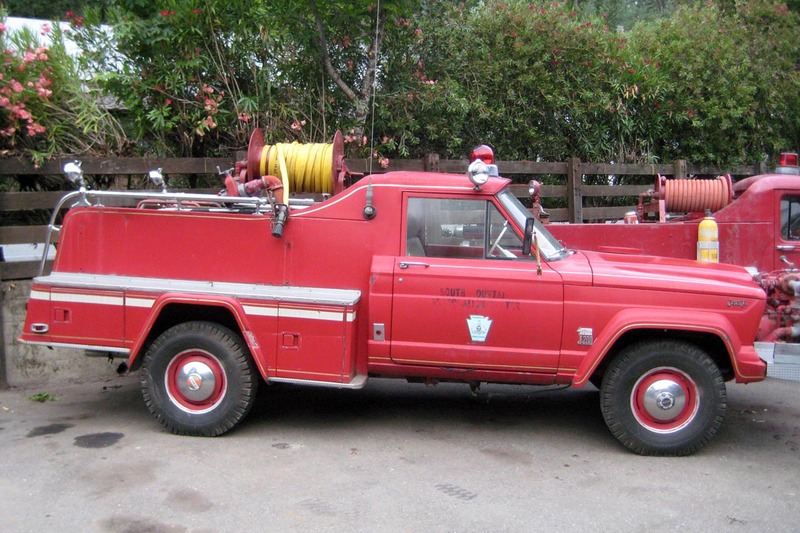 Howe Fire Apparatus continued to build Jeep fire engines during the 1960s, but most were Forward Control trucks; we know of only one other Howe Gladiator. 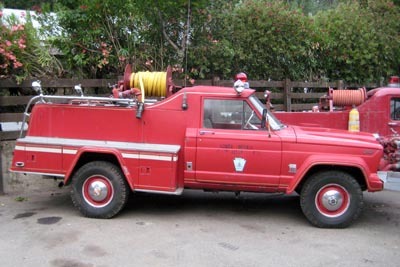 The Gladiator's styling blends nicely with the Howe bodywork, but the front mount pump begins to seem anachronistic, and the truck lacks the kind of new features found on some other J-series apparatus such as the Formaz Gladiator. The rear bodywork caries the Howe shield. The side compartments result in a very wide body, and provide room for some huge taillights. 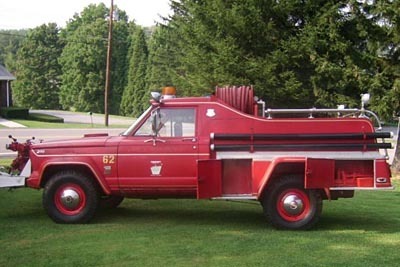 There is a hand rail, but the rear platform doesn't appear to be large enough for firefighters to ride securely. 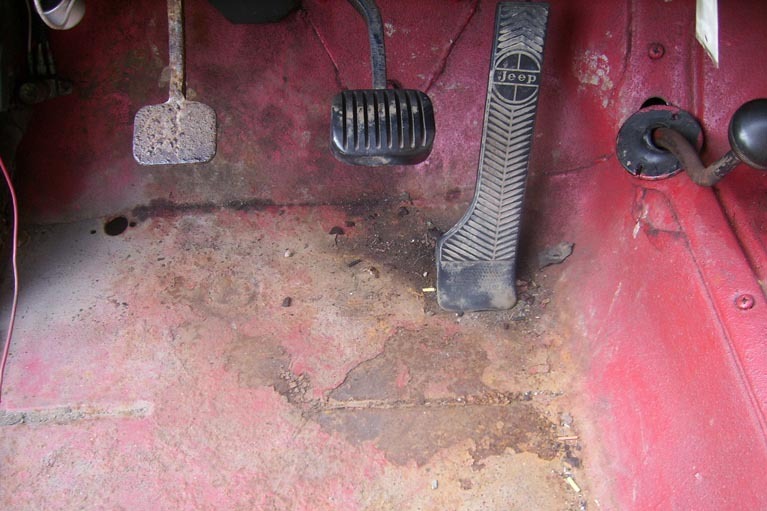 Owner Jack Stankiewicz wrote in 2008, "I am afraid I have had a run of bad luck with the Jeep. I had it hauled in to Weirton WV by car hauler. Although purchased as drivable, within 10 miles the engine seized and broke a connecting rod and piston and damaged the crankshaft. 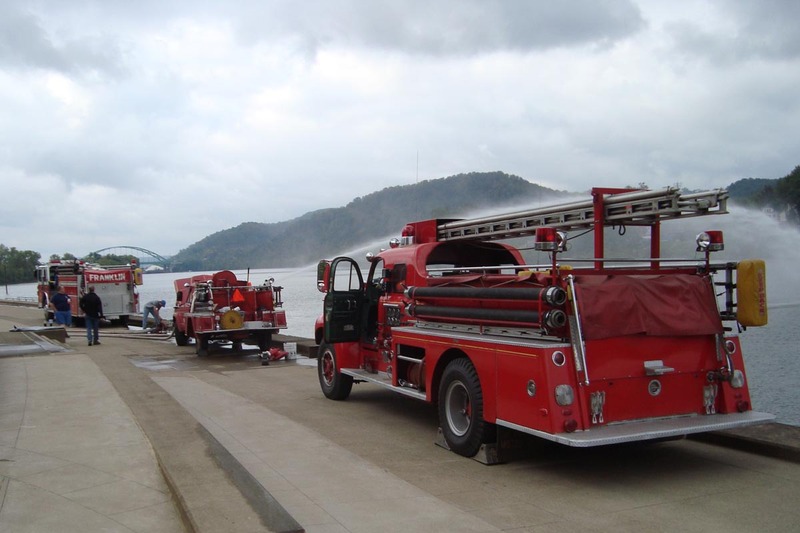 "Thankfully, a local repair shop was able to make arrangements with Jasper Mfg. in Indiana to 're-manufacture' the engine. The engine was pulled from the truck and shipped to Jasper. During this process, we noted a half dozen leaks in the radiator. We pulled it and took it to a radiator shop. 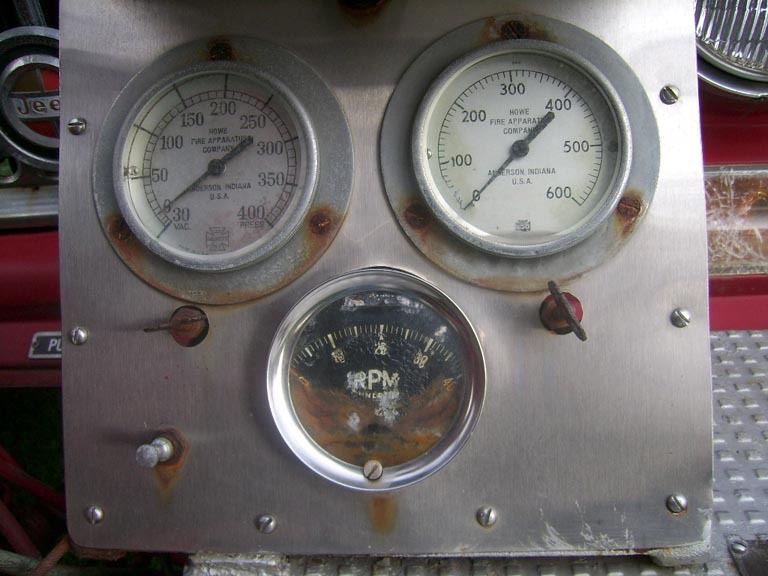 "Upon return, the engine was installed and, would you believe it, an oil leak was observed. The engine was pulled out (again) and shipped back to Jasper. Upon its return the mechanic again installed it and prepared to test run it. He immediately observed another radiator leak. Back to the radiator shop. I now have about 4 times more money in repairs that in the purchase price. "It goes to the paint shop in two weeks. 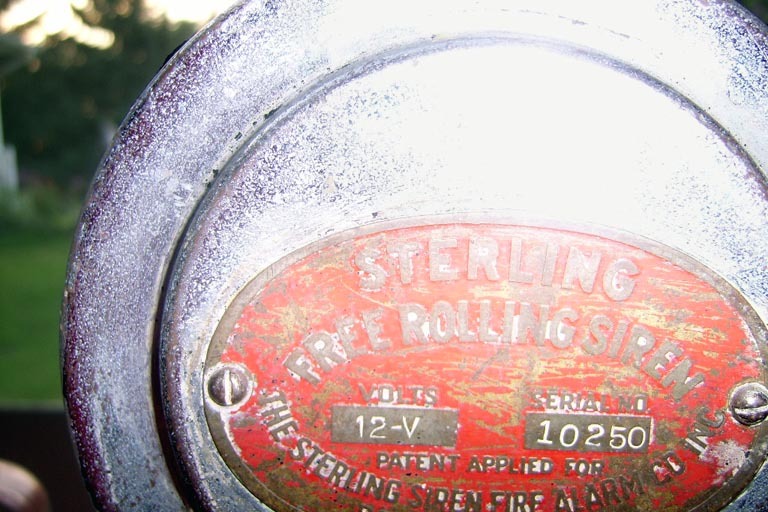 The original paint is badly faded. One rust-out will be repaired. So long as it does not suffer another mechanical failure, it should be suitable for showing in July 2008. 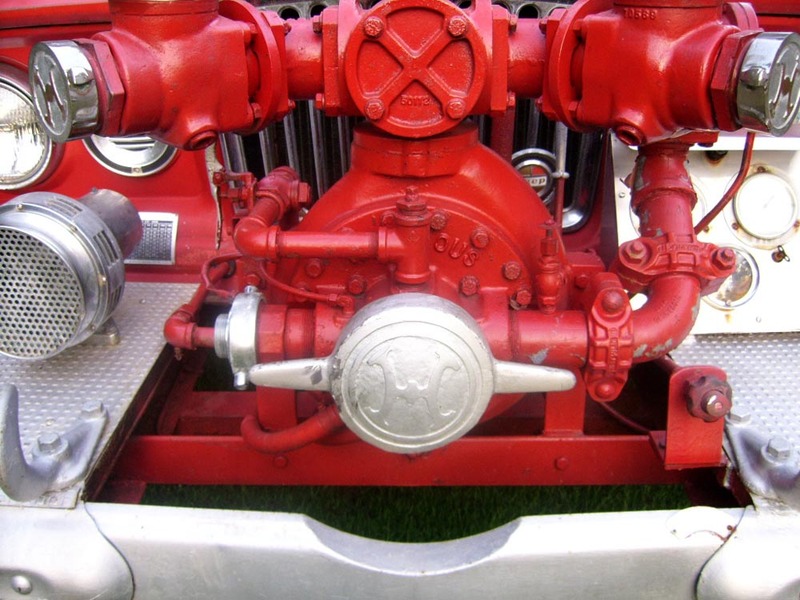 That will be followed by an attempt to get the pump functional." Unfortunately Jack passed away at the age of 70 in December 2008. The Gladiator was called on to carry Jack Stankiewicz One Last Time. The truck now belongs to Jack's brother Joe Stankiewicz, who did get the pump running. This photo shows the truck in action at a muster held in Jack's honor in Wheeling, WV, August 2009. Thanks to Scott Rollins of Enjine! Enjine! magazine for the photo. 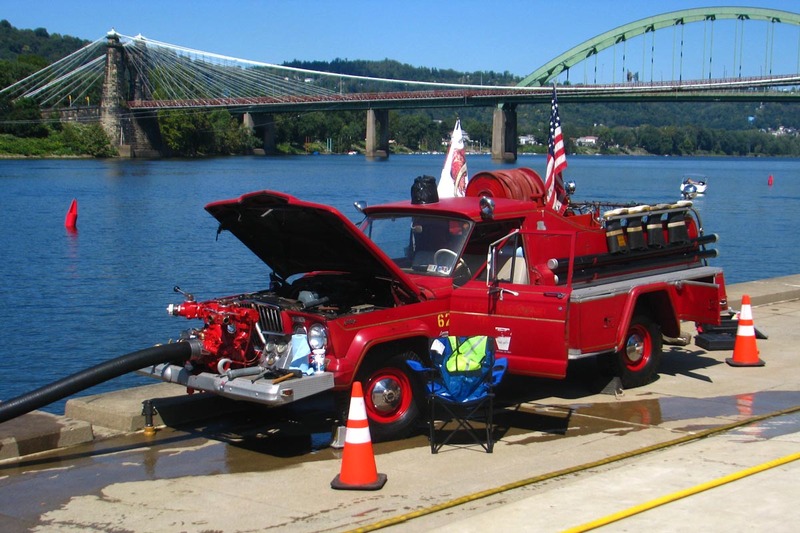 See also a photo from the muster in Wheeling, 2010 (100K JPEG). 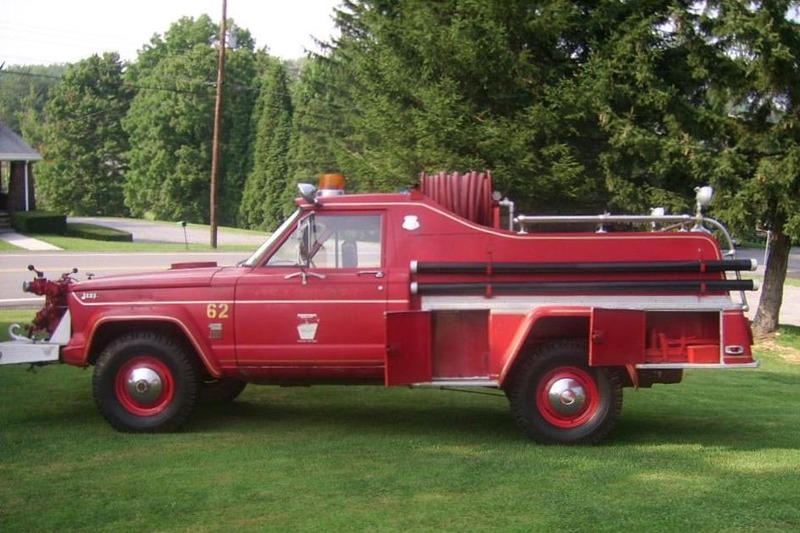 See also more Gladiator Fire Trucks. Return to Fire Service Jeeps on CJ3B.info.